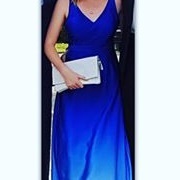 A stunning blue ombre prom dress in satin fabric. 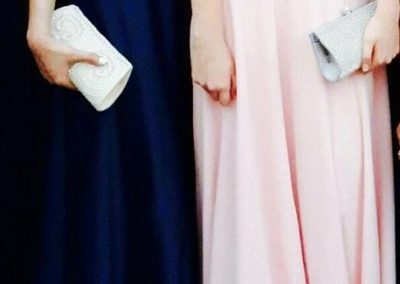 The lighter shade of blue cascades beautifully onto the long skirt. The sleeveless bodice has an overlapping v neckline. 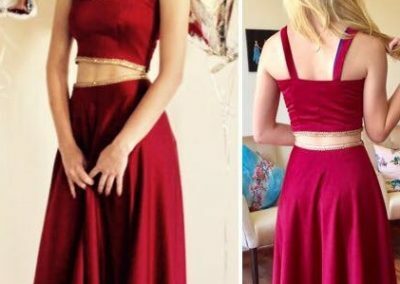 An elegant wine colour satin prom dress. This sleek style dress has a high neck with thin straps criss crossing beautifully at the back. 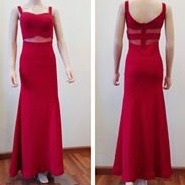 An elegant prom dress, with symmetrical sheer illusion cuts at the midriff and the back. The long stretch fabric dress, gently flares towards the floor in a stunning mermaid cut. 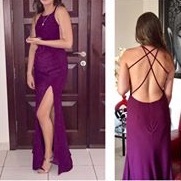 Perfect and stylish, to wear to any red carpet event. 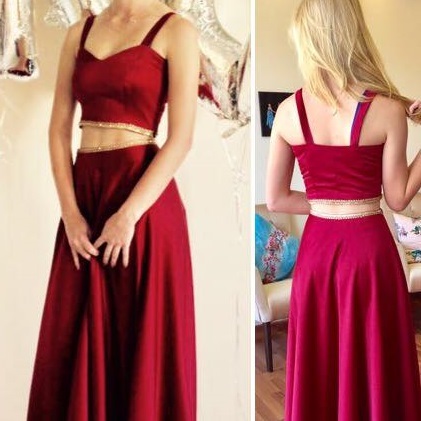 A unique two piece satin prom dress embellished with gold sequins at top hem and waist of the skirt. 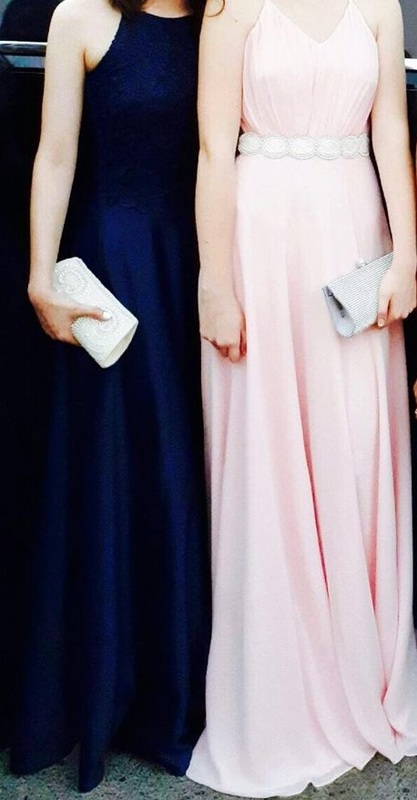 Two gorgeous elegant prom gowns. Each unique in its style, pattern and detail, truly one of its kind.